Preheat oven to 180°C (350°F). Place the flour, baking powder, sugar, eggs, oil, buttermilk and vanilla in a bowl and mix until just combined. Gently fold through the banana and chocolate chips. 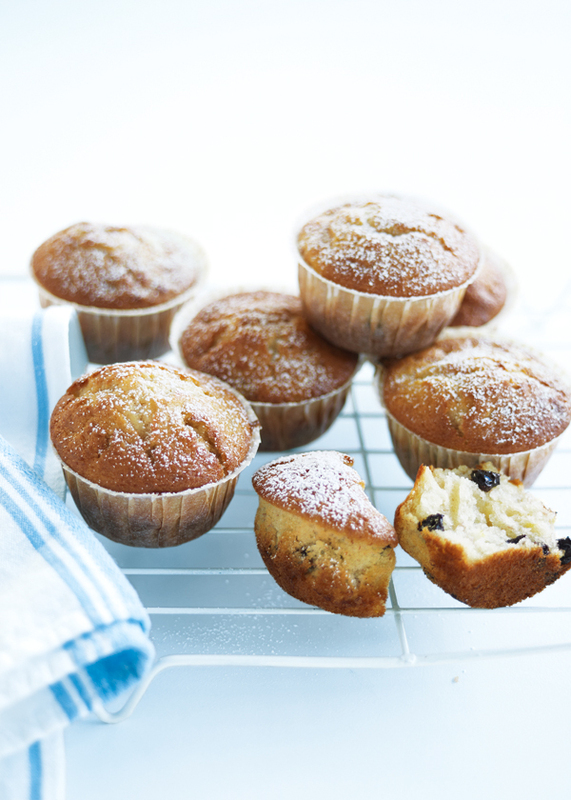 Divide the mixture between 12 x ½ cup-capacity (125ml) muffin tins lined with paper patty cases and bake for 25–30 minutes or until golden or cooked when tested with a skewer. Turn out onto a wire rack to cool. Dust with icing sugar to serve. Makes 12.
really amazing muffins i love it! I adjusted this recipe a little; I replaced vege oil with olive oil, plain flour & baking powder with self-raising flour, and buttermilk with 165mL coconut milk (a whole little can). I also reduced sugar to 3/4 cups and added fresh halved raspberries. My whole family loved them! Very nice. Although leave out half the sugar they’re far too sweet otherwise. Great recipe. 10 out of 10! Muffins were amazing!